There are only 50 days left of summer vacation for us – hard to believe! The days may seem long, but time really does fly when you’re having fun! While some families we know have been jet setting to some fabulous faraway destinations, other than a quick trip here and there, we’ve pretty much stayed home. This is what makes Skype that much more valuable – to stay connected with family and friends that are scattered all over the world! Skype Mobile – Allows travelers to stay in touch with free Skype-to-Skype video and voice calls while on-the-go by downloading the free Skype mobile app for iPhone, iPad, Android, and now Windows Phone! Great Pay-As-You-Go rates – Affordably call home with Skype’s low cost rates to landlines or mobile phones. GroupMe – Create a GroupMe group chat on your mobile phone so that you can keep tabs on your travel partners’ whereabouts. 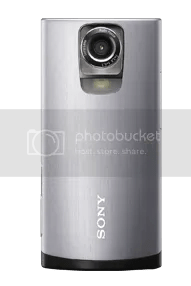 Sony Bloggie Live™ HD Wi-Fi® Enabled Camera – Features Qik Video from Skype, it allows you to capture video of your vacation and livestream it to friends and family back home and on your social networks. You even can save your videos and upload them later to your personal blog. 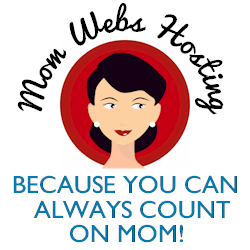 Group Video Calling – Weren’t able to attend your high school or family reunion this summer? Connect with up to nine of your favorite people to see how their trips are going with Skype group video calling for Mac or PC. If you find you have a lot of time on your hands, maybe start a virtual book club with your old college roommates, or teach some friends how to cook in a weekly group cooking class. 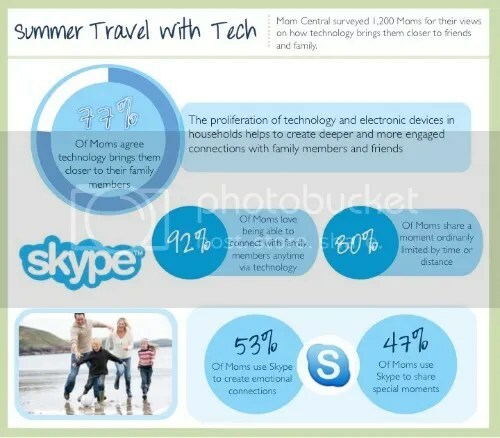 A Skype Premium subscription starts at $4.99 a month. I recently hosted a group video chat with a bunch of old friends that I used to work with. We’ve all gone our separate ways, many far away, but still keep in touch (thank you, Facebook!) so organizing this chat was a lot of fun. At least one person on the call needs a Skype Premium or a group video subscription, and all on the call need a webcam, an Internet connection, and Skype (obviously). Between 3 to 10 people can be on the call at a given time. I’d say just about 5 or 6 make for a perfect conversation. The hardest part is actually sitting down and making time for it. If it were easier to decide on a specific date and time (and all commit to it) I’d definitely consider doing this on a more regular basis. For now, we’ll be spontaneous! 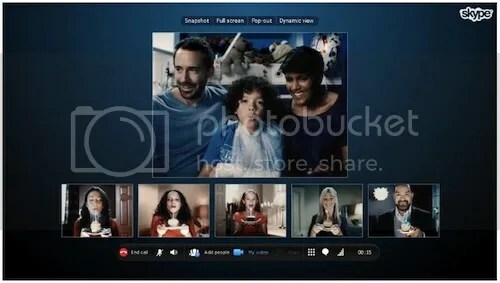 There’s a really cute video on Skype’s website that shows how group video calling works. One group used it for a birthday call for a little boy, all blowing out a candle at the same time as him. What a fun idea! Wish I’d thought of it… my daughter’s birthday is coming up, so I just may try it!